Single-Issue Campaigns And Abolition/Vegan Advocacy: What Would A Chicken Say? "For me the question is whether or not advocates can make the case for abolition/veganism as equal powers simultaneously with the specific case being cited. Can we agree that advocates need to ensure this happens?" – Will Anderson, author of "This Is Hope: Green Vegans and the New Human Ecology." So I am in Brooklyn, New York on a fall day looking at a stack of crates on the sidewalk filled with live chickens. Sickened by this scene, do I, as an animal rights activist, just skip over the chickens and proceed to tell anyone who will listen about the importance of going vegan? What if a passerby is upset about the chickens crammed in the crates without food, water or shelter, and asks what can be done to help them? Do I simply say that these particular chickens are suffering for the annual ritual of kaporos, a custom practiced by some ultraorthodox Jewish communities in which chickens are swung by their wings and slaughtered for practitioners' sins, then move on to note that kaporos, though cruel, is no worse than what chickens and other animals go through in slaughterhouses every day, urge the person to "go vegan" and proceed to expound my philosophy of "abolition or nothing?" Will ignoring the chickens in front of our eyes advance the abolition of all animal abuse better than if we paid attention to these particular birds who are suffering? Is a campaign to eliminate the use of all chickens in kaporos rituals a part of our overall vegan advocacy? For, as Fish Feel director Mary Finelli said in a recent debate on this issue, "veganism is not solely about not using animals for food but rather is about not causing needless harm to animals. In this way, the campaign against chicken kaporos is about veganism." For some Abolitionists, all campaigns focusing on particular animals – in this case chickens used for kaporos – frustrate the ultimate, worldwide goal of Abolition, Animal Rights, and Veganism. My organization, United Poultry Concerns, promotes the compassionate and respectful treatment of domestic fowl. This makes us a "single issue" or "single class of animals" organization. Does our focus on chickens and turkeys hamper efforts to liberate all animals from all forms of oppression everywhere on the planet? A point to consider is that every category of animal, animal abuse or advocacy can be called "single issue," whether the category is chickens, kaporos chickens, farmed animals, furbearing animals, aquatic animals, whales, whaling, dog fighting, squirrel shooting, circuses, rodeos, SeaWorld, mountain lion protection, anti-welfare campaigns, save the elephants, spay & neuter, vivisection, or whatever. Campaigns on behalf of specific human groups have been waged throughout history. Was the campaign to end apartheid in South Africa a "single-issue" campaign that thwarted the overall effort to liberate all people everywhere on earth from legalized discrimination? What about the suffragist movement or the civil rights movement or the gay rights movement in the United States? Don't these constitute "single issues" within the universal drive for social justice? And do they not break down further into specific campaigns for voting rights, equal opportunity in education, anti-housing discrimination, affirmative action, and so forth? If so, then it is important to inquire whether addressing a particular category of animals or animal abuse necessarily precludes an inclusive advocacy on behalf of all animals. Does focusing on chickens prevent me from contextualizing their suffering within a broader range of issues? My experience as a chicken rights activist for 25 years says that one can develop the skills that are needed to do both while pursuing specific objectives. One can do both because a single issue and the big picture of animal abuse are not separate entities. 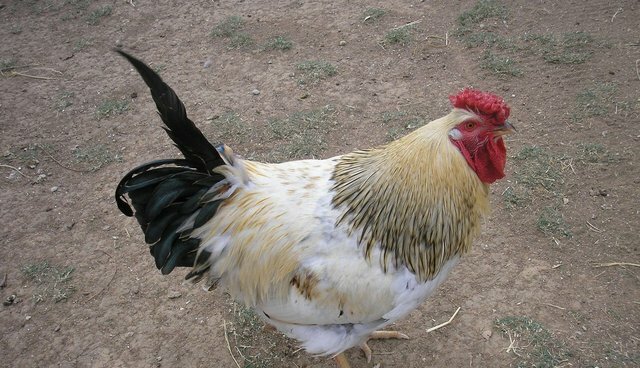 Cockfighting, for example, is one "detail" within the larger dimension of staged animal fights which in turn fits into the broad category of using animals for entertainment. Using animals for entertainment is part of an entire system of cruelty and injustice in which the individuals of other species are defined by humans as disposable property, objects, commodities and resources, without dignity or rights. Paradoxically, instead of a "detail" versus "dimension" scenario (single issue versus total picture, "Save the Whales" versus "Go Vegan"), the dimensions are in the details and vice versa, similar to the paradox of individuality and ecology. "I am in the world, the world is in me," as philosopher Alfred North Whitehead summarized the cosmic interaction between the Unit and the Ubiquity. Not all single issues are the same, anyway. Some are closed circles. An example of a closed circle approach to helping animals is where one group of exploited animals is used as bait to win funding and favor for another. A fundraiser for dogs and cats featuring a chicken dinner, reassuring your member of Congress that while you oppose experimenting on animals you have no objection to hunting, fishing or eating them – this type of advocacy deserves the opprobrium of "single issue." By contrast, even though United Poultry Concerns focuses on the plight of domestic fowl, we would not hold a fundraiser featuring a lobster dinner or raffle a fur coat to raise money for our chicken sanctuary. We would not lobby Congress for chickens at the expense of other animals. "Help these animals and to hell with the rest." That is not our policy or attitude. Reviewing the Abolitionist arguments against campaigns on behalf of specific groups of animals, I am struck by their similarity to arguments prevalent in environmentalist thinking in which individual animals are dismissed and ignored in favor of species and ecosystems. The key metaphor for this type of holism is Aldo Leopold's call to environmentalists to "think like a mountain." In the 1990s I published an essay, Thinking Like a Chicken: Farm Animals and the Feminine Connection, in which I analyzed the conflict set up artificially between the Individual and the whole in environmentalist philosophy. I asked, "How is it possible, as the environmentalist asserts, to worry about ‘all the plants and creatures' of a system while managing to avoid caring about each and every one? Why would anyone want not to care?" It seemed to me then, and still does, that the ethical result of all monolithic thinking and advocacy, whether in environmentalism or in animal rights, is that the individual animal is morally abandoned and the lives of individual animals are trivialized and patronized as inconsequential compared to the abstract entity or goal. Individual animals, groups of animals, specific campaigns and caregiving – all projects and beings are swept aside or stepped over in the march toward idealized existence. "Give me liberty or give me death!" Well, yes, but not all sufferers will refuse (or should be refused) a wisp of comfort – a soothing breeze or some bedding to lie down on instead of cement, if this is all they can ever hope for before dying. Diehard Abolitionism holds that all single-issue campaigns by animal advocacy organizations function mainly as fundraisers infused with false assurances to the public that any relief for institutionalized animals means that these animals are now being treated humanely, so it's all right to continue abusing them. In this view, exploited animals are further exploited by their so-called advocates for cynical objectives that aid and abet animal abuse instead of alleviating it. Whatever may be true for others, United Poultry Concerns does not choose campaigns based on cynical incentives. Situations arise that fit our mission, and we strive to address as many as possible, as best we can. Some situations become campaigns. For example, when we learned how rooster feather hair extensions are obtained, we developed a campaign ("The Truth About Feather Hair Extensions") against these products and successfully lobbied the beauty care company Aveda to stop carrying these fashions for which roosters are caged and gassed to death with carbon dioxide in order to pluck a few feathers from their tails after they have died in agony. Every campaign for animals provides an opportunity to promote the vegan message and the goal of animal liberation. I personally like the term "animal liberation" better than "abolition" because animal liberation is a positive sounding goal featuring the animals themselves as opposed to the more abstract and negatively framed objective in which we, instead of they, are the focus. Perhaps it is fitting that a philosophy in which individualized animals and campaigns are more or less frowned upon should define itself verbally in a way that obliterates the animals from view. Abolition, Veganism. It is easy for the animals to disappear in closed-circle discourse about ideology and food. As animal advocates, we cannot let this happen. In a recent debate about single issue campaigns, prompted by an Abolitionist critique of the Alliance to End Chickens as kaporos (a project of United Poultry Concerns), Alliance member Rina Deych, of Brooklyn, New York, wrote, "While I completely agree that veganism should be promoted, I do not agree that so-called single issue campaigns and the promotion of veganism are mutually exclusive. In fact, many people (including myself) became vegan after becoming sensitized to the individual issues. Not all of us can relate to the concept of tens of billions of animals being slaughtered for their flesh or secretions. For many of us it only becomes a reality when we see one animal suffering (and, hopefully, ultimately being saved). It's harder to block out that one image than one of a sea of animals we can conveniently blur into one blob and tuck away, compartmentalize, into our unconscious mind and ignore." The poet William Blake said that we must learn to "see the universe in a grain of sand." Similarly, animal activists must strive to integrate and insinuate vegan advocacy and animal liberation into all of our efforts to help nonhuman animals. It isn't Either Or. We must advocate passionately for the mountain – for the ultimate goal of Animal Liberation – and we must advocate with equal justice, passion and conviction, and do the very best we can, for this bird who is alive in the flesh, just as we are, in the here and now. VINE Sanctuary cofounder Pattrice Jones's new book "The Oxen at the Intersection: A Collision" is a stimulating case study of the complexities and contradictions of a "single-issue" campaign to save two oxen, Bill and Lou, from slaughter in 2013. One irony implicit in this instructively tragic case is the convergence of the polar opposites of Abolition and Welfare in prioritizing abstract calculations over "saving just two lives."